Well known to our clientele, Steve is the CFO of Tanner Lakes Animal Clinic. He earned that title at two and a half years old. 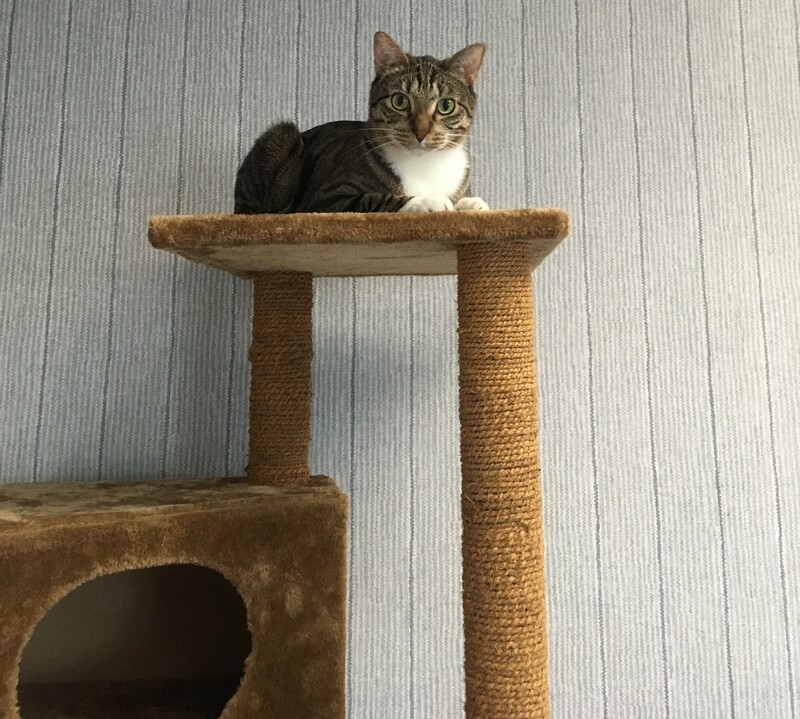 He was found as a six week old kitten on the side of Highway 290, and is believed to come from a very long line of feral cats. 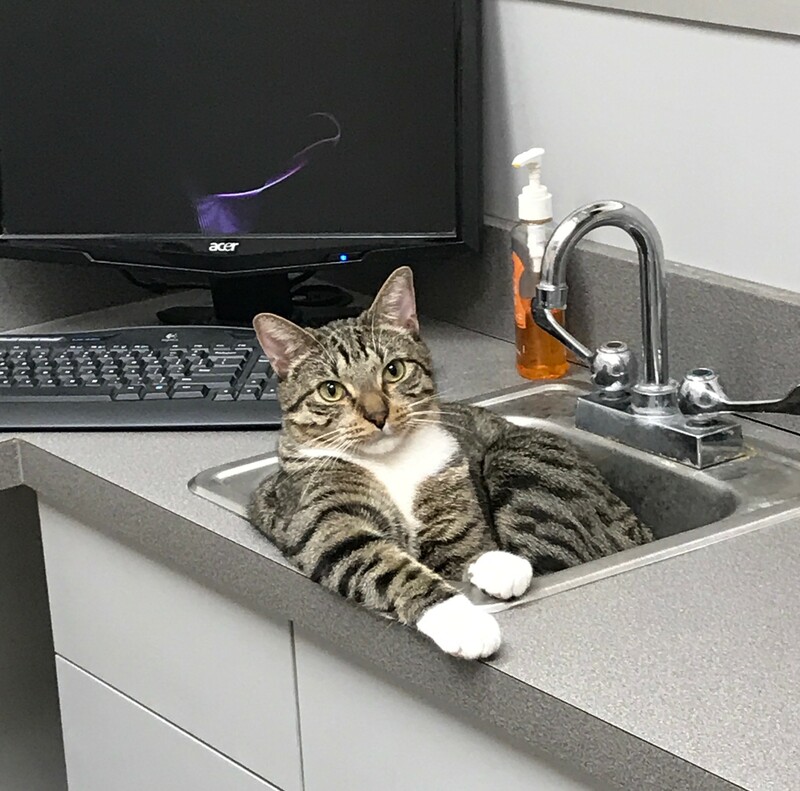 During his time at Tanner Lakes Animal Clinic, he has spent many days keeping watch of the clinic and chasing away the clinic broom. He frequently tries to climb inside of carriers that don't belong to him and chew on very expensive purses. 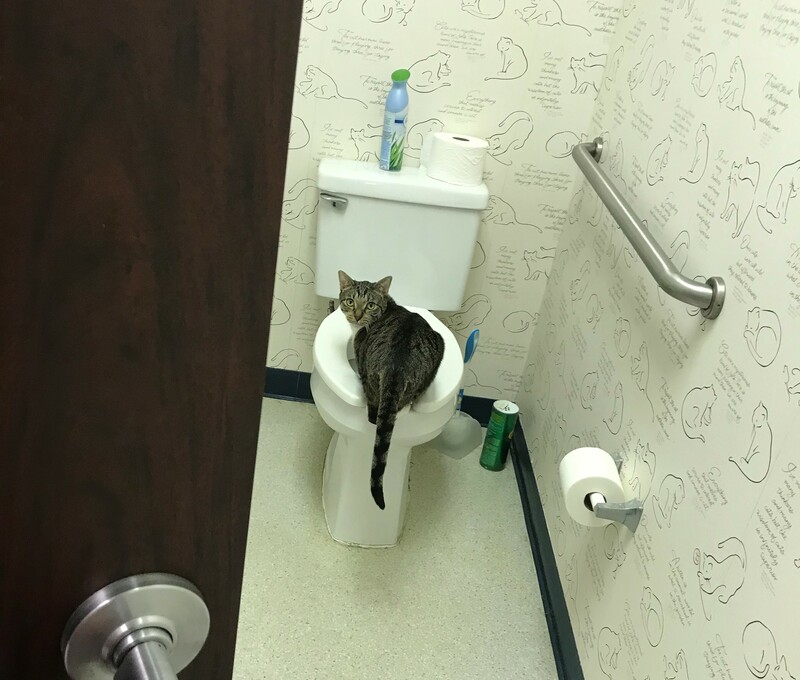 In the late evening, he typically enjoys drinking water from the toilet bowl alongside his helping of Fancy Feast. He prefers Chicken and Turkey varieties, but anything from the gravy lover's or marinated morsels line is worthy of his attention. He also enjoys many kinds of lunch meat, and has been known to steal the meat from employee sandwiches. 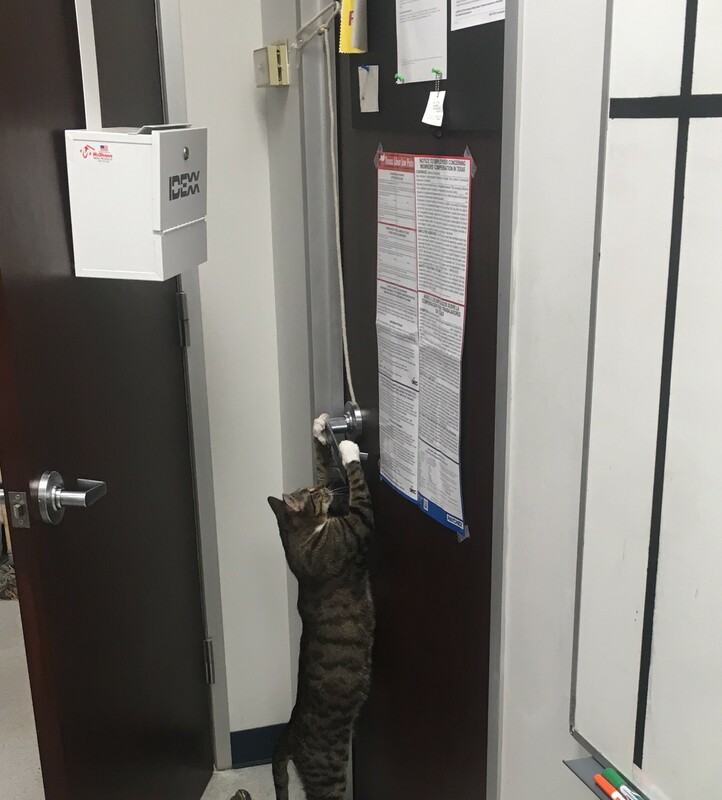 Thanks to him, we have now had to renovate the alarm system so it is not set off during his nightly shenanigans. This was the only way to keep the alarm permit. 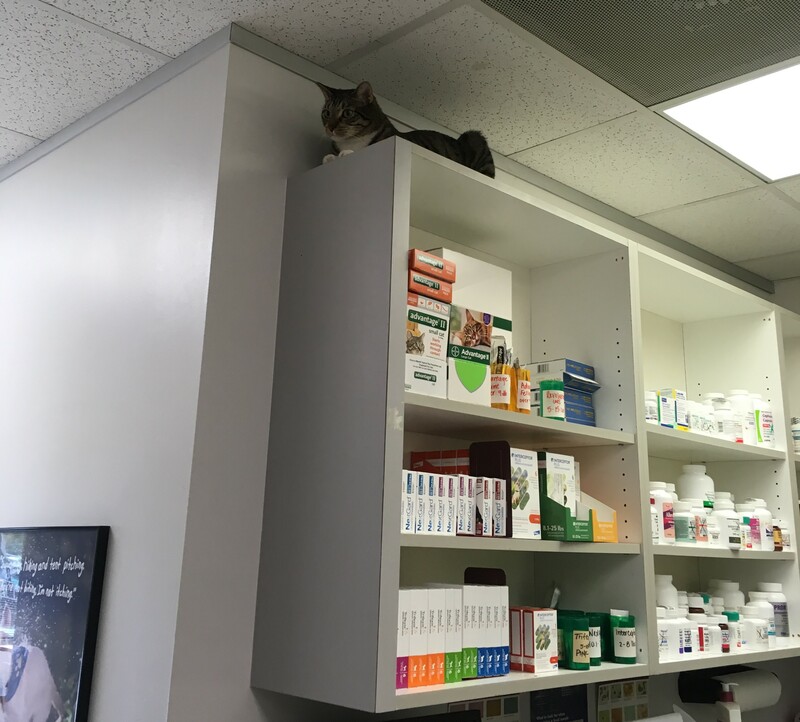 Steven knows how to open most of the doors and cupboards in the clinic. 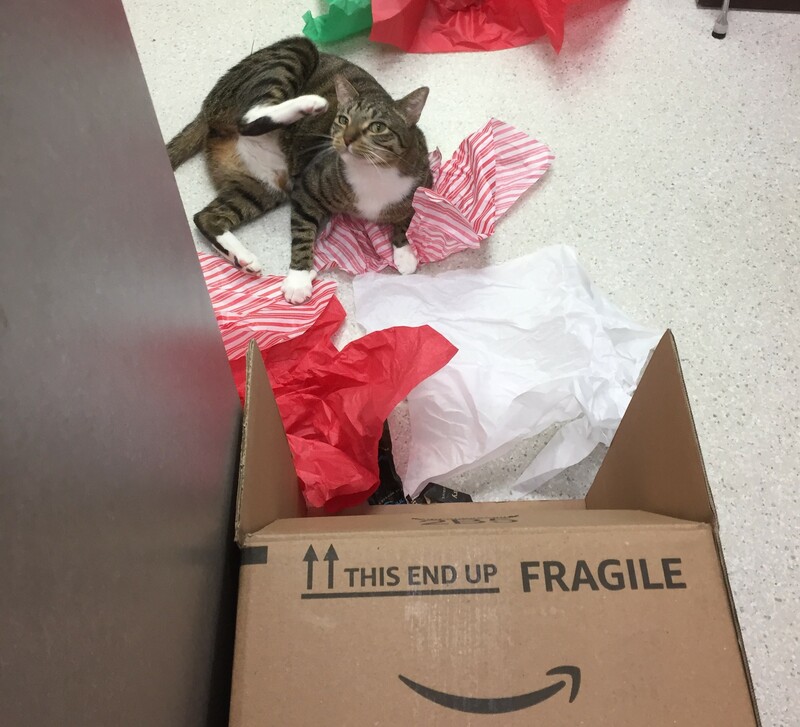 He does not like like to be left out, and has been known to make his way into exam rooms when our patients are visiting with Dr. Ken. We have to keep the door to the food closet locked and Steve proofed, because Steve will destroy hundreds of dollars worth of pet food in one night. He has a very expensive taste. His favorite hobbies include emptying out the trashcans, and clogging the sinks with paper towels when he is not getting enough attention. 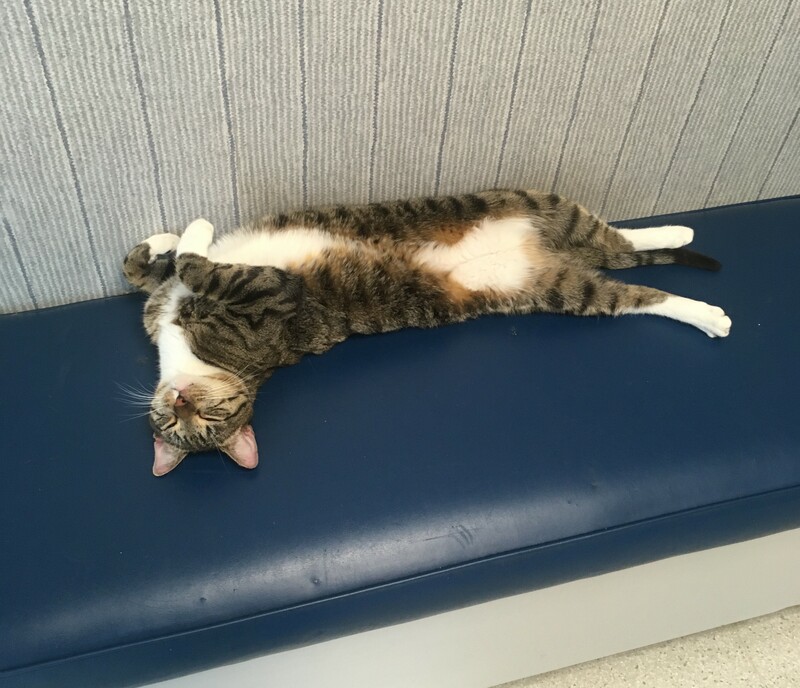 When visiting our clinic he does appreciate a pet or two, but be careful not to pet him too much! If he is in one of his favorite spots, he might get ya!